close-up view of the meninges showing the subarachnoid space. 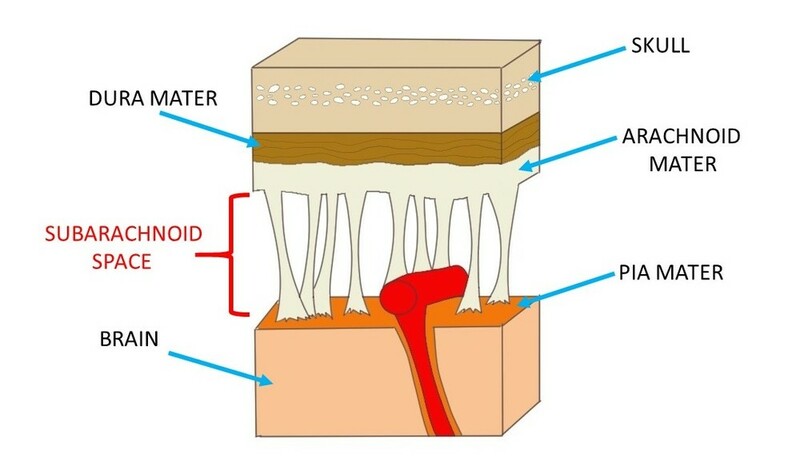 space between the arachnoid and pia mater, which is filled with cerebrospinal fluid. Watch this 2-Minute Neuroscience video to learn more about the meninges. Neuroscientifically Challenged is a neuroscience learning resource. In addition to a blog that discusses science current events in a non-technical manner, you will also find a number of videos and articles that you can use to learn about basic principles of science and the brain.